My favorite dress for special occasions are the traditional Kurdish dress. I just love it. It's very beautiful and so elegant. When I'm in Kurdistan I usually always wear Kurdish dress at home. I don't know it just feels so special while wearing it. Of course it's a little bite more complicated to wear Kurdish dress at home instead of a simple pyjamas in Kurdistan but it's more class in my opinion in the Kurdish dress. 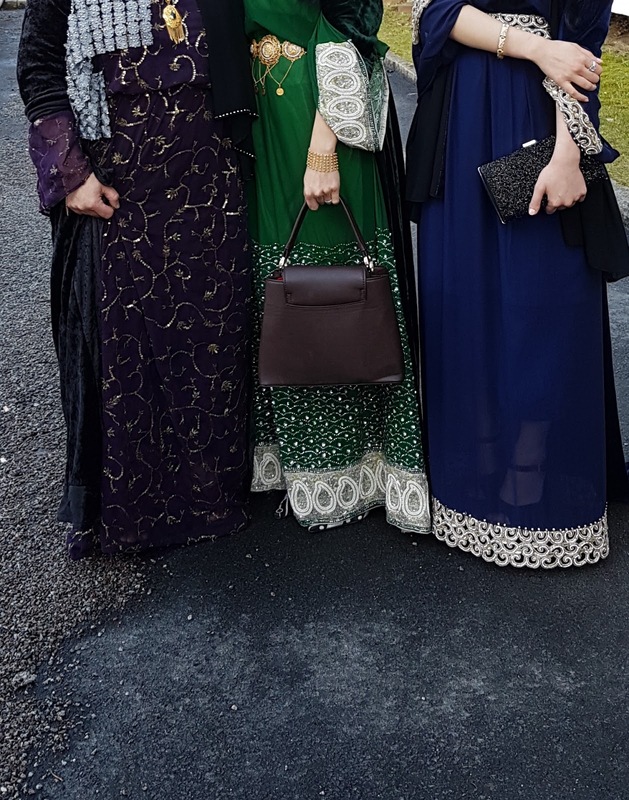 Here is a pic of me, my sister and mama. Here comes some information about Kurdish dress that I've taking from the net. The traditional Kurdish dresses are for everyday wear and are not reserved only for holidays. Currently some women still wear them on a daily basis, especially by the older generation. The dresses worn on a daily basis tend to be modest in colour and have little or no accessories or embroideries. In the present day the Kurdish dress is more commonly worn on special occasions. The traditional Kurdish women's outfit includes either a vest or long-sleeved jacket or long overcoat worn over a gown. An underdress and puffy pants are worn beneath the gown. A belt over the gown is also needed. Traditionally women wore Kurdish hats ornamented with valued coloured stones, beads and gold pieces. Over time this has become less common. Now it is more popular among women to only accessorise with gold jewellery. Usually younger women and young girls wear brightly coloured dresses adorned with many beads and sequins, and the older women wear darker colours. However, older women tend to wear more gold jewellery because traditionally when women married they would receive a dowry of gold jewellery pieces from their groom. The tradition implied that the amount of gold pieces a woman wore signified her status amongst other women in their society. This still applies today to a lesser extent.